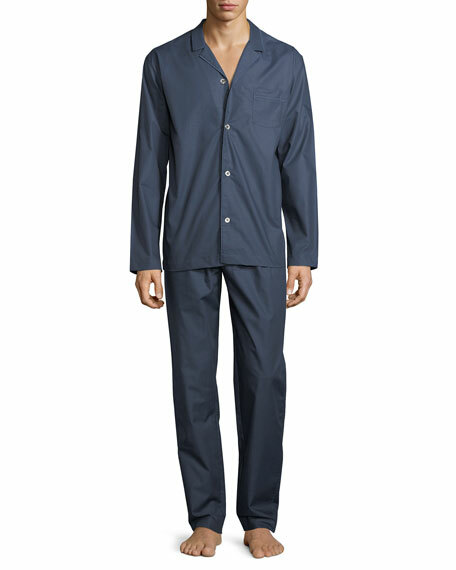 Hanro "Henry" two-piece pajama set in chambray with iridescent sheen and subtle dot pattern. Notched collar with piping detail. Front chest pocket with HANRO logo. 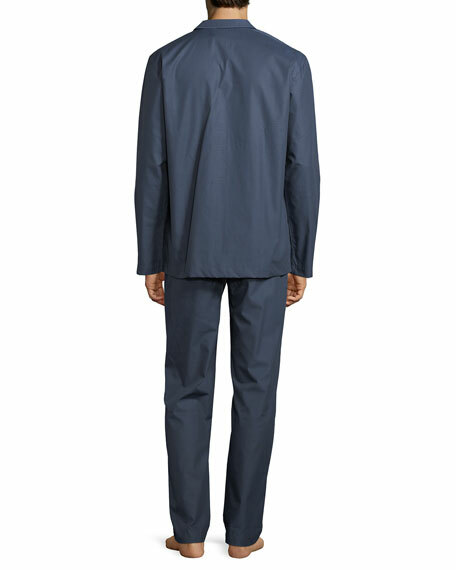 Pull-on pants with functional one button fly. For in-store inquiries, use sku #2373166.